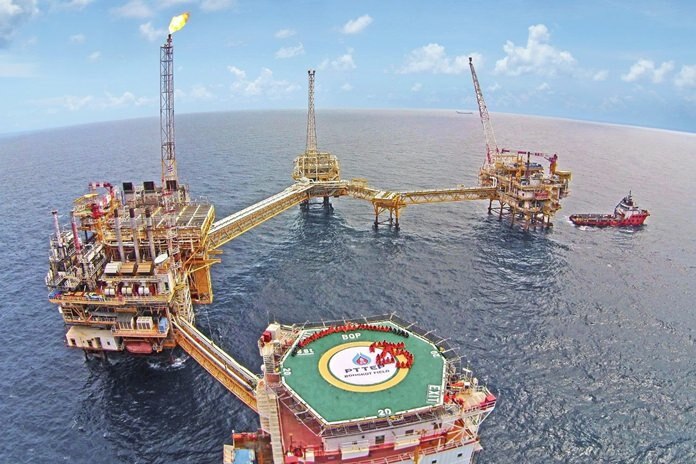 Nong Khai – The Thai Cabinet has endorsed the two petroleum concessions held by PTT Exploration and Production Public Company Limited in the Gulf of Thailand. Government Spokesperson Puttipong Punnakanta made the announcement after the mobile Cabinet meeting concluded on Thursday. He said that PTTEP had won the bidding for both the Erawan (G1/61) and Bongkot (G2/61) petroleum gas concessions. PTTEP also will be the sole operator of the Bongkot gas field, while the Erawan gas field will be operated by PTTEP and its partner, the UAE’s Mubadala Petroleum. According to Thai Energy Minister Siri Jirapongphan , the deals for both gas field concessions will be signed by February 2019.